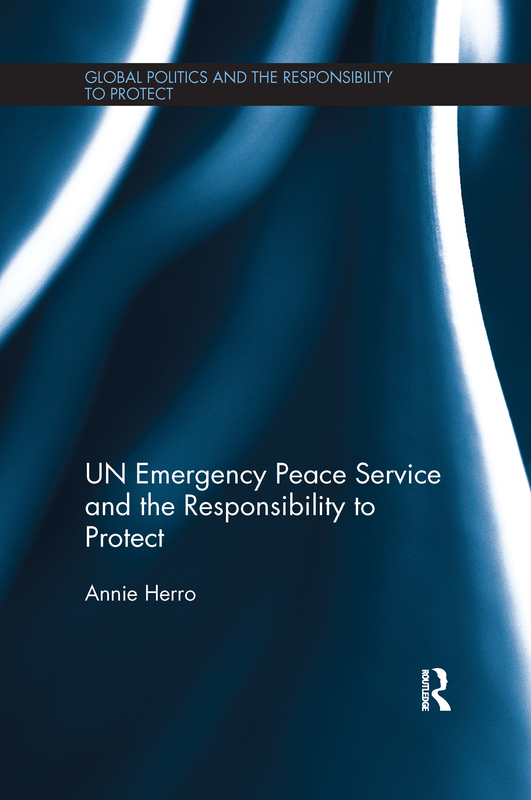 This book examines the attitudes of political, military and non-state actors towards the idea of a UN Emergency Peace Service, and the issues that might affect the establishment of this service in both theory and practice. The United Nations Emergency Peace Service (UNEPS) is a civil society-led idea to establish a permanent UN service to improve UN peace operations as well as to operationalise the emerging norm of the ‘responsibility to protect’ civilians from atrocity crimes. The UNEPS proposal has received limited support. The book argues that interest in, and support for, the UNEPS proposal is determined by perceptions that it would erode state sovereignty, the extent to which the principles of the proposal are consistent with actors’ views on the world and perceptions on whether UNEPS will realistically be capable of contributing to the workings of the UN and regional peacekeeping systems in areas that are seen to be deficient. This book makes the case for localising the UNEPS proposal so that it is more consistent with attitudes of those consulted for this research. It concludes that the development of a series of less ambitious proposals could be the first steps to creating a rapidly deployable service with the mandate to prevent atrocity crimes. This book will be of much interest to students of peace operations, the Responsibility to Protect, international organisations, IR and security studies. Introduction: an idea whose time has come? Conclusion: moving beyond the UNEPS proposal?